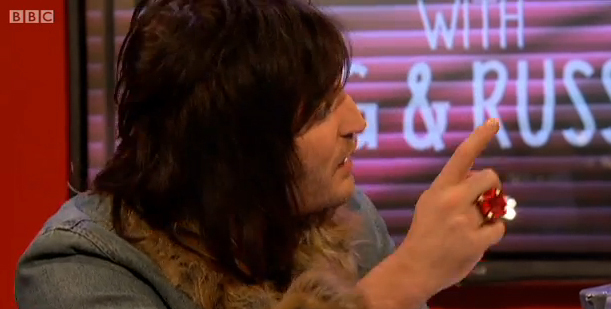 Look who we spotted in our sparkling Bat Necklace - none other than Noel Fielding himself! 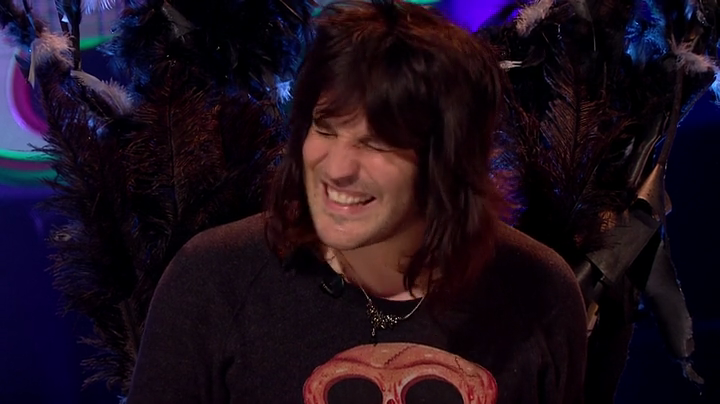 The Mighty Boosh comedian appeared on irreverent music quiz Never Mind the Buzzcocks wearing our spooktacular new necklace. 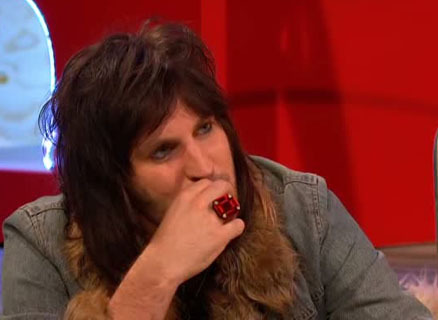 Proving that Tatty Devine is definitely not just for girls, Noel later accessorised his fur trimmed denim jacket on Staying in with Greg and Russell with our gleaming Gem Cut Statement Ring: It's not the first time Noel has been seen out and about in our jewellery. Your eagle eyes caught him in our Feather Necklace on Top of the Pops, our Robots in Disguise Necklace on the 6 O'Clock News and out on the town with Courtney Love in our Keyboard Necklace! Get your hands on Noel's Bat Necklace and Gem Cut Statement Ring (with 30% off!) now.